When it comes to playing online, you should always budget your money to gamble responsibly. The worst thing you can possibly do is gamble more money than you can afford. People get carried away when they’re winning and some get greedy by playing for longer than they should – remember when you lose, you lose everything. I’ve come across pokie players who have said to me a few times “It should be ready to pay out now, I’ve been playing it for hours” but that is unfortunately not how it works. When you’re playing with more money than you can afford and don’t win, it becomes a very vicious cycle that can be hard to break. Okay, so the first really important thing to do is to set yourself a realistic budget – spend only what you can afford. If you can, set your limit aside from your everyday account, this will stop you eating into the cash you cannot afford to spend. It is also wise to set a target goal – if your budget is $200 for example, your target could be $500. Should you reach your target, withdraw the $500 immediately. Only continue playing with whatever money is left after the withdrawal and don’t forget to set another target goal. Two online accounts are ideal because you won’t be able to gamble your life savings away if you use two separate accounts. A basic bank account should be used for your everyday activities such as bills and payments. Use a separate account for your gambling activities. We prefer e-wallets such as Skrill or Neteller as these accounts are easy to use, offer the fastest withdrawal times and can be separated from your day to day life and expenses. This way it is easy to keep track of you deposits and withdrawals. E-wallets are free to use at most online casinos. Some online casinos will keep your withdrawals on “pending” status for 24 hours, sometimes even for several days, hoping that you will reverse the withdrawal and spend your winnings in the casino. This is a bit of a sleazy tactic which we don’t approve of. We recommend doing business with casinos that offer fast withdrawals times, preferably within a few hours. We have tested multiple online casinos on how easy and fast it is to withdraw winnings. The casinos with the fastest withdrawal times are Casumo, GUTS, and Leo Vegas. When you’re offered a bonus on top of your deposit, you really should read the terms and conditions attached to that bonus. Sometimes it’s better not to take a bonus at all – trust me! Some bonuses require you to wager an obscene amount of cash before being able to cash out – yes, you’ll be playing longer, but your chances of winning and being able to withdraw are very slim. Make sure you read all of the terms before deciding whether to take the bonus or not. Spinning good stuff – look for wager free spins! Most online Aussie casino offer free pokie spins when you join the website, the majority of which have wagering requirements on the winnings of the free spins. This means you will have a lower chance of actually converting the winnings into real cash. The better option? Look for online casinos that offer wager free pokie spins as part of their welcome bonus. These are better bonuses to have, because what you win is yours with no play through requirements. Whatever you win is yours to keep straightaway. Some great online casinos that offer wager free pokie spins are GUTS, Thrills and Lucky Dino. Gambling should be fun and when the fun stops, you should stop! Playing online or in Aussie betting shops across the country can be very addictive, so if you have recognised you have a problem, you should stop and get help. This is the question you should be asking yourself and there are a few things you can ask yourself to determine the answer. 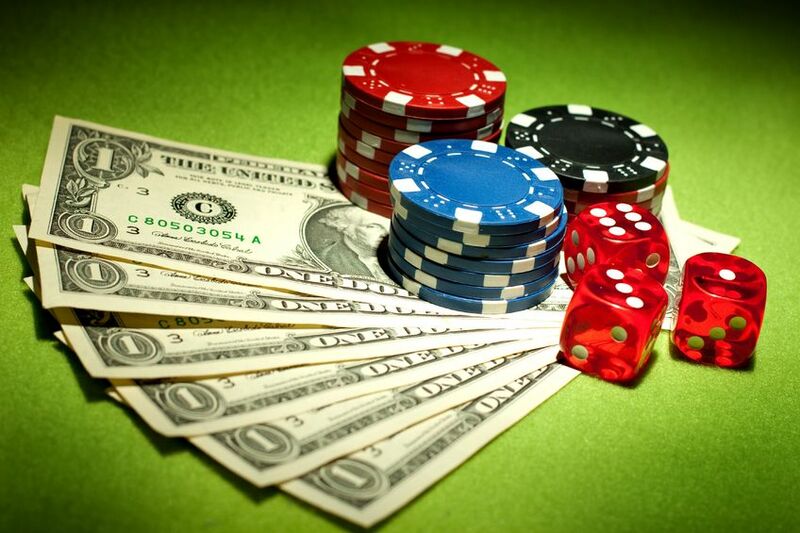 · Do you find yourself skipping work or other commitments because of the need to gamble? · How do you feel when you’ve lost? Yes, it’s disappointing but do you feel the need to have that ‘one last gamble’ all the time? · Are you placing bets to win what you’ve just lost? · Do you feel like gambling when you’ve had an argument or you’re feeling frustrated? If you’ve answered yes to a few of these (or all of them), you may have a gambling problem. The good news is that there’s plenty of help available to help you stop. Every casino that we work with offers problem gamblers various solutions for tackling their problems, from setting deposit, time or loss limits to temporary or indefinite self-exclusions.